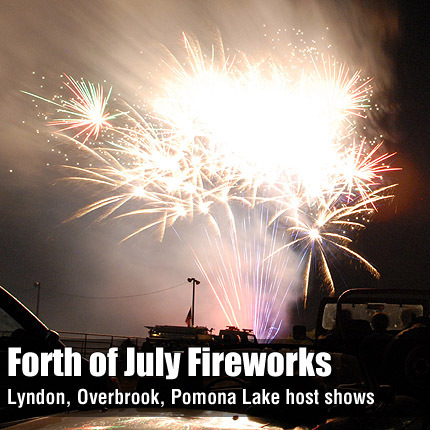 Fireworks lit the sky for spectators that filled Lyndon Saddle Club’s arena and parking area Sunday night. The display was hosted by the saddle club, Osage County Fire District No. 5, the city of Lyndon, and other local sponsors.